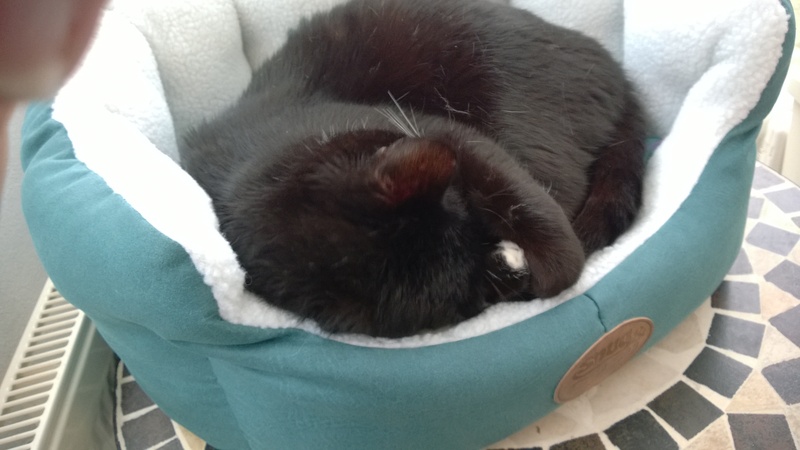 To look at Harry so cosy, calm and settled and after just 4 days in his new home (on 03/04/16) it's hard to believe this is the same cat who arrived in CP care on Valentine's Day 2016, frightened, hissy and definitely 'approach with care'! 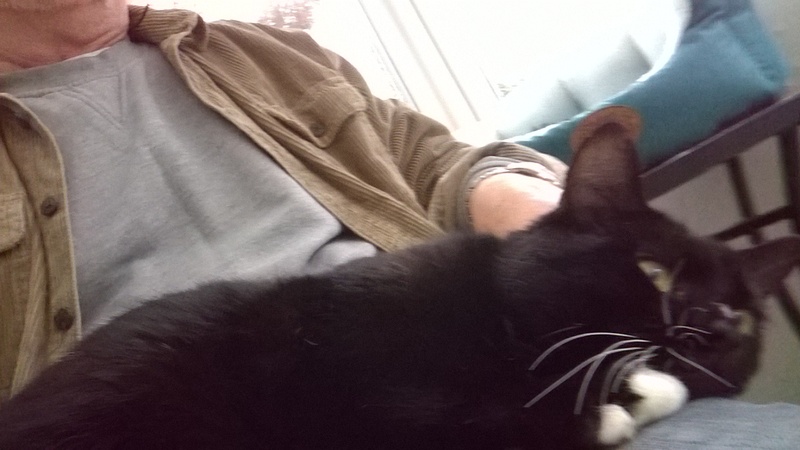 Harry was an unneutered stray and it took several weeks after being neutered for him to trust anyone near him and then become a lap cat. 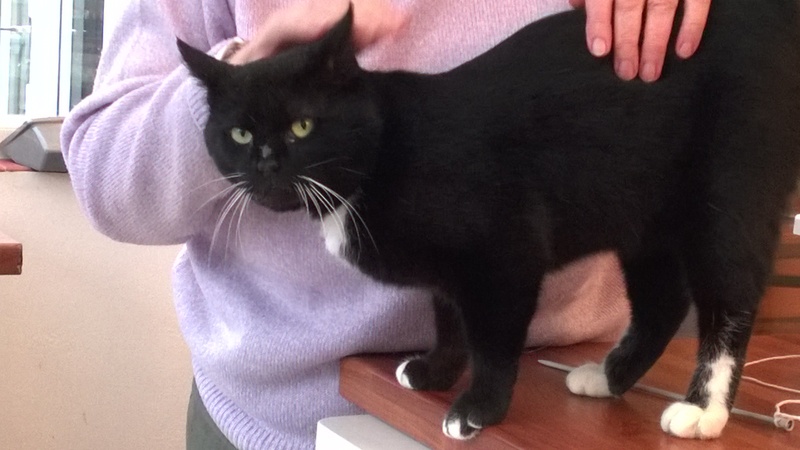 When Harry was adopted by Pat & George they understood it might take a while to gain his confidence but after only 2 days Pat phoned to say they had a lap cat! 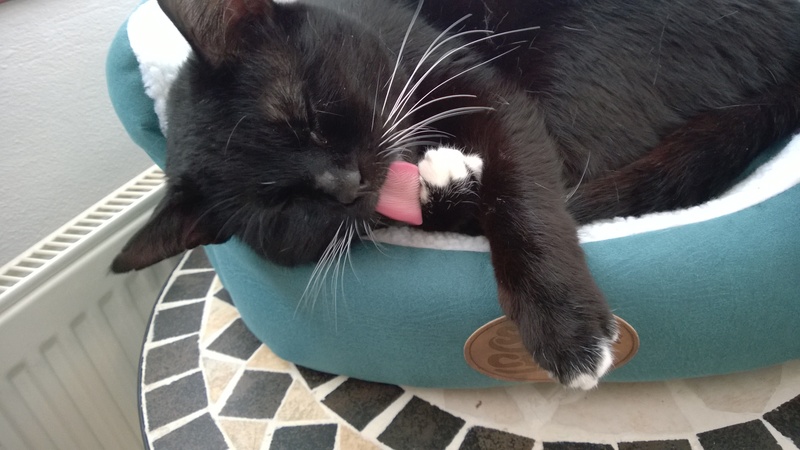 Harry looks very settled and so snuggly in his smart new bed which seems perfectly situated next to the radiator. A wonderful home for Harry. 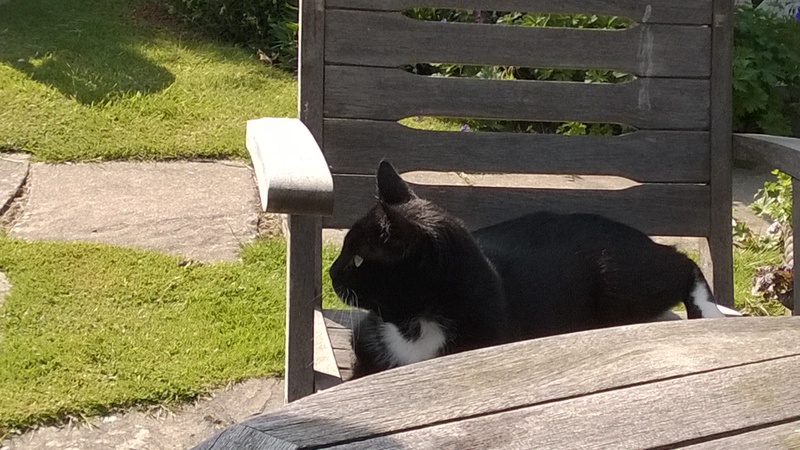 Look at Harry now as he enjoys the great outdoors in his very own garden. Pat & George began giving Harry the freedom to go in and outdoors on 06/06/16 and he certainly looks relaxed in the fresh air and sunshine. 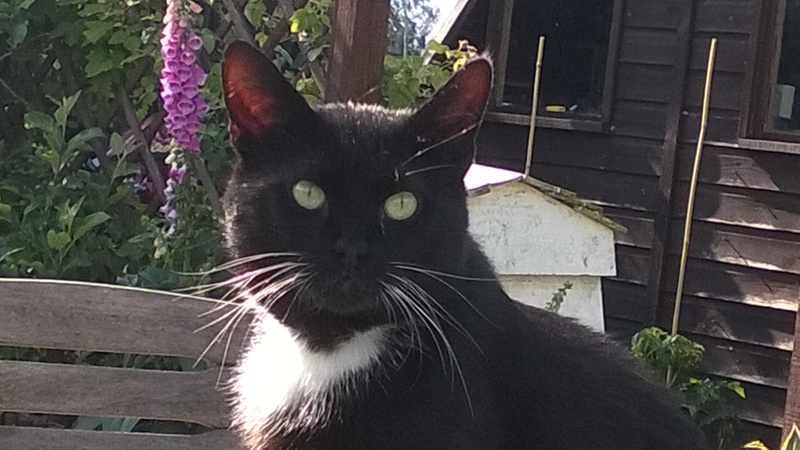 George says Harry is on "his third day, still nervous but has found his way round his garden and next doors and comes home ok, he’s not to keen on the magpies shouting at him, so comes running home at a pace." We're all so happy for Harry - Pat & George too.